Did Emma Smith approve of polygamy? 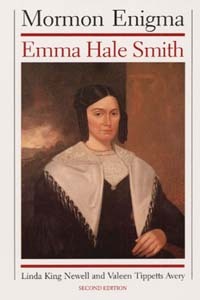 Emma Smith (1804-1879) may not be as well-known as her husband, Joseph Smith, Jr. but understanding this woman is important for anyone who desires a more complete picture to the Mormon story. In this 1994 book, two female historical researchers—Linda King Newell and Valeen Tippets Avery—tackled the life of the first wife to the founder of the Mormon religion. This review takes a closer look at the book and sheds an interesting light on the woman whose deepest conflict with her husband involved his plural marriages to many of her friends and their daughters.